So, how can CBD help this? Are there other dogs using CBD? The Golden Retriever in your life isn’t just a dog, or just a pet, they’re a member of the family. Loyal as they come, they’re waiting for you when you get in from work, excitedly wagging their tails like you have been away for months on end. You love your Golden Retriever and would hate for anything bad to happen to them, or for their health to suffer, which is why it’s brilliant that you’re looking into CBD. As with many different breeds of pedigrees, this breed of dog does have its fair share of health issues to battle through, but this is where CBD comes in. I’m going to discuss a few of the major health problems that affect this breed, and how CBD can help combat the symptoms and make for a happier, healthier life for your pooch. I will also let you into some stories about my own pets and how I’ve found CBD has affected them. Complimentary downloadable 35-page PDF checklist available here, which will let you know if your dog could benefit from CBD products. A brief history: This particular breed of dog have their origins in Scotland where a local businessman who also happened to be a lord and a successful politician (Majoribank) originally bred them. Majoribank needed a hunting dog who would also be loyal and a good companion to take with him on hunts, so he purchased the yellow retriever, from a brood of otherwise all blacks, which soon became known to be a ‘golden’ retriever. He trained his pup up so well that it became very good natured and got along well with his young family, despite having its origins in hunting and aggression. From then on, Majoribank only purchased yellow retrievers and even crossed them with other kinds of dogs to make the ultimate well-tempered dogs. After years of interbreeding, he came up with a playful, loving dog which was good at hunting, friendly and had a water-resistant golden fur – which became recognized as its own breed in 1911, the Golden Retriever. Elbow and Hip Dysplasia: Like many other breeds of medium to large dog, Golden Retrievers do have to deal with dysplasia which is where the joints become inflamed and bones grind against each other leading to much pain. This common condition can lead to problems like painful arthritis or even a dog becoming lame. If dysplasia occurs in the elbow joints of a Golden Retriever, the bones grow at different rates to each other which can leave the dog in agony. Infections of the ear: Golden Retrievers are known for their large, floppy ears, which add to their cuteness, but can also cause them much distress. The size of the ears means that they retain the water, and as we well know, Golden Retrievers love being submerged in water and paddling away, but this can lead to ear infections which they need regular treatment for. Epilepsy: Golden Retrievers are known for being epileptic more so than other dogs, which means that they commonly can be found to have seizures which leave them weak. Gastric Dilatation-Volvulus (GDV): This awful complaint is essentially when the stomach of a dog twists inside the body. It’s very common in such large breeds, as well as Labradors, and can cut off normal blood flow to the heart and result in death. Heart Disease: Throughout their lives, over 1 in 10 Golden Retrievers will suffer from heart disease of some sort. These sorts of problems can be life-shortening as they can lead to more serious conditions like chronic valve disease and ultimately end in death. Obesity Issues: Known for possessing a hearty appetite, Golden Retrievers need more exercise than most dogs to work it off. If for whatever reason, they can’t get the exercise required, these dogs are prone to gaining weight and becoming extremely obese, which, as within humans, can lead to major health issues including heart disease and cancer. Osteosarcoma: In elderly Golden Retrievers, this sort of bone cancer is rife and can lead to a shortened life, if not spotted early enough or treated correctly. Osteocondrosis: This particular health issue affects younger Goldens, and mainly targets their joints such as shoulder and elbows. This condition is basically a failure of inner cartilage to grow into a bone, which can result in joint effusion, lameness and reduced mobility in the breed. PRA: When the retina deteriorates which could lead to loss of sight. Separation Anxiety: If they have to be separated, for whatever reason, from their families, they can bark a lot when left alone as well as chew through things in the house. 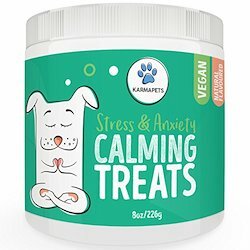 Calming treats are available for dogs that experience this discomfort. You can also try CBD treats. Subvalvular Aortic Stenosis: This particular illness can lead to your dog collapsing, fainting or even, in rare cases, death; this is where there is a very small connection between the heart and the aorta, causing issues with blood flow. When my dog, Rosie, was diagnosed with dysplasia and cancer, we didn’t know what to do with ourselves. The vet announced the diagnosis to us, but we were speechless, what would we do without our beloved Rosie? I was determined not to let this be the end, so spent hours on the internet researching treatments and remedies, big and small. It was then that I can across CBD. At first, I doubted it. How could something without medication be so effective on dogs? But, it was worth a try, so I ordered my first batch of oil. Let me explain to you how CBD can aid two of the main conditions affecting this particular breed. Even if your dog isn’t particularly obese, and not suffering from a state of anxiety, CBD could still help. If you’re still troubled with the decision, why not download this complimentary CBD checklist to see if your dog really does need CBD treatment. Our checklist shows you the seven most common benefits that taking CBD oil and supplements has on dogs, and also contains a report spanning over 30 pages about CBD in more detail. Why not print it and give it a read later at your leisure? Obesity is a massive problem for a lot of dogs. It usually comes about due to an energy imbalance, as dogs tend to have an intake of more calories than they burn during their daily events. This means that often those calories are stored around the body in fat deposits. As the dog’s weight increases, their risk of developing health conditions increases a lot. Extra weight puts a lot of strain on the dog’s joints, which can lead to problems with mobility and exercising. Being obese also heightens the dog’s chances of getting heart issues, which are already a high risk in Golden Retrievers. Being overweight or obese can aid a dog’s risk of having certain types of cancers, type two diabetes or even respiratory problems. A healthy diet and a lot of exercise including walking and running will definitely help, but for when they won’t, many owners turn to CBD. CBD can even help to control a dog’s appetite, and therefore aid their fight against obesity. Some Korean researchers recently discovered that taking CBD supplements can induce ‘fat browning’. Let me explain what this is. White fats are thought to cause heart problems and type two diabetes, where these researchers found that brown fats can actually work in the opposite way, and burn energy and additional calories. CBD aids the proteins and other genes which break fats in the body down. CBD aids mitochondria which is known for burning energy. CBD helps a protein which makes new fat stores within the body. These studies were conclusive that CBD aids the browning of fats, which therefore could help dogs lose weight and not become obese. In 2008, there was a study carried out which showed that the system which is within all mammals is relied upon within the metabolic principles. This 2008 study suggested that ECS can aid and/or regulate the energy stored in the body as fats. Another such study back in 2012 showed that when tested on rats, CBD had an effect on their feeding patterns. Their research looked into two compounds which were cannabis-derived and showed that CBD reduced the rats’ appetites and helped them control their weight. However, none of the research was carried out on dogs, so I can understand why you’d be nervous about giving your dog CBD. I can assure you that your dog has the same systems as the rats and even as humans, which means they can benefit from CBD just the same as other species can. If you have a Golden Retriever and they are having weight problems, I would 100% recommend trying them with a CBD supplement, even though you must remember that there’s no magic remedy – there has to be a healthy diet and exercise happening alongside the supplements. But, CBD can aid your dog’s burning of fats and can help to control their appetites. If you’ve got one, or just know a family who has, you’ll know that Golden Retrievers are a huge family member. They’re loving and loyal, but they can have behavioural problems which need addressing. Separation anxiety is a big one, which means when your dog cannot prise themselves away from you and when you leave them alone in the house, for example, you will usually come back to whining or barking, or even chewed up household goods. In rarer circumstances, you could even return home to find a dog who has urinated on the floor in excitement for your arrival back. If your dog is prone to this, a dog belly band can either help train your pup not to urinate in the house, or for incontinent dogs they can help to control it. If your dog is showing any of these signs, I urge you to see how CBD could help. Lots of research has highlighted the uses CBD can have for the treatment of anxiety in dogs, especially Golden Retrievers. 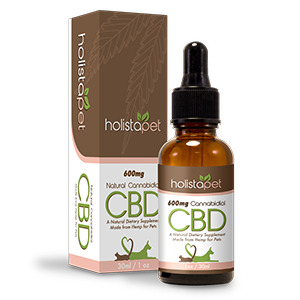 The CBD compound can momentarily block a certain hormone to the brain, which can improve mood and take away stress, which is the same as most anti-anxiety medicines do which a vet will prescribe you. Other trains of thought have proved that CBD can promote the growth of certain cells, which are utilised in the brain when dealing with depression and other anxiety-based issues. I have researched this topic a lot, which is why I consider myself an authority on the subject, and believe that it could help your dog like it did mine. If you have a Golden Retriever who is showing any signs of what I have just discussed, I recommend trying CBD and seeing for yourselves. I am a huge fan and a true believer in CBD use in dogs, but I’m not the only one giving my dogs supplements to help their health and happiness. There are many people from across the country finding CBD improving the quality of life for their Golden Retrievers, and you could too. Soda uses Canna-Pet supplements to calm him down and deal with his joint and inflammation issues as he is an older dog. Another dog benefiting from CBD is Francesca, who uses the supplement through her cancer treatment. She now sleeps much better since before she used the alternative medicine. My dog, Rosie, benefitted insurmountably from using CBD supplements and I’m so pleased I got them. She was suffering badly before but now she’s much more at peace. I have given many brands a try over the years, and have reviewed their quality, ingredients and testimonials thoroughly. 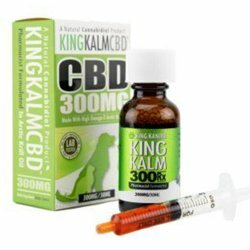 Personally, the best one for me is King Kanine, as I saw the best results in Rosie when using their King Kalm CBD 300mg RX range. If you’ve read something in this article that has struck a cord with you, and you’d like to start using CBD on your own dog, why not get yourselves 23% off your entire order by clicking here. Before you buy, why not read my review of King Kanine’s many different affordable products here, and see from my own personal experience just why I believe that they are so life changing.